How do we know that hospitals are safe? 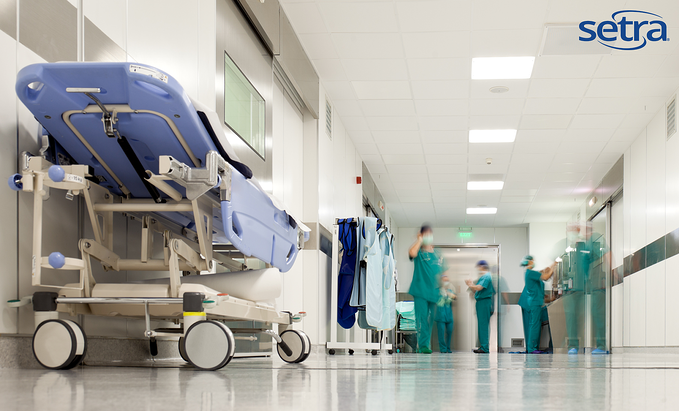 Hospitals and outpatient facilities serve a critical need in global communities. They provide emergency care for the sick, but we also rely on them as a safe zone for treating communicable diseases and keeping the public at-large safe. But how can we know for certain that a hospital is clean and safe, and that we won’t get sick from something another ill patient has carried in? We rely on the hospital’s building maintenance and clinical staff to have proper procedures in place to keep the general public safe. How do we know they are doing a good job? We know thanks to two organizations: The Joint Commission (TJC) and the Centers for Medicare and Medicaid Services (CMS). TJC is an independent, not-for-profit accreditation organization that inspects hospitals to ensure the building is safe and properly maintained. TJC follows well-established and detailed standards, called the Environment of Care, that guide operations and maintenance in support of strong building performance. The six EC categories TJC inspects are safety, security, hazardous materials, fire safety, medical equipment, and utilities. Inspections take place every two or three years, where TJC personnel can be on-site for several days. Every hospital wants to pass inspections because their license to treat patients depends on successfully passing. CMS is the federal government’s organization that oversees hospitals in a similar way. CMS has inspectors too, but they also use TJC as a “deemed authority” to help cover all the hospitals in the United States. CMS inspects using standards called Conditions of Participation (CoP), which also look at health and safety. CMS’s prime motivation is the licensing of hospitals to treat Medicare and Medicaid patients. Hence, there are two US organizations that keep us safe in hospitals using rigorous standards. A component of this health and safety is proper room pressurization where applicable in the healthcare setting. Ensuring proper room pressure with a reliable and accurate system can set a hospital at ease when TJC or CMS inspectors are on-site. CLICK HERE to learn why a common instrument found in medical facilities may not be adequate anymore.